For those geeks out there who really enjoy diving into the research papers, here is a special article on my 5 favourite research papers which go a long way to explain how and why chiropractic effects the immune system positively. Since the very first chiropractic adjustment on 18 September 1895, when a man’s hearing was said to return, there have been many theories of how and why chiropractic care can affect the body organ (visceral) system, beyond the more obvious musculo-skeletal changes. Theories have been postulated for over 100 years of why and how these results are achieved. The aim of this assignment is to discuss a paper from the literature of peer-reviewed scientific journals and from the findings propose a hypothesis for a link between chiropractic care and improved immune system function. In this study  the HIV positive community were used to test the effect of a specific upper cervical adjustment on the physiology, serology and immunology of the individuals. With detection of HIV, it is the antibody to the virus which is detected rather than the virus itself. The ELISA test is the first test used but produces a false positive if the patient has had a bad cold, flu or has hypersensitivity issues. The follow-up test is the Western Blot which must detect three specific proteins in the blood to register a true positive to the presence of HIV. The purpose of the paper was to explain chiropractic’s potential role in the care of HIV positive patients and the potential role of chiropractic adjustments and their effect on the nervous system and the relationship between the nervous system and immunity. The paper highlighted previous chiropractic research into the effects of chiropractic adjustments on substance P, cortisol and lymphocytes. It further discussed efficacy of chiropractic care in the field of somato-visceral disease processes as demonstrated by several large studies. In particular a 1991 study by Patricia Brennan  demonstrated that by adjusting the thoracic spine the phagocytic respiratory burst of neutrophiles and monocytes from adjusted adults were enhanced. By making use of the medical blood tests of HIV positive subjects in the trial it was possible to accurately monitor the change in CD4 counts for both adjusted and control groups over a six month period. The experimental protocol was in the form of a randomized controlled clinical trial using the grostic method of analysis and adjusting of the upper cervical spine. Initially, the trial started with twenty-two patients from the public and it lasted 6 months. At the end of 6 months, 10 sets of data (5 control and 5 regularly adjusted individuals) was usable with 3 sets of blood work taken for each of the participants. Pre and post adjustment radiographs were taken to determine if upper cervical laterality and rotational components of the vertebral subluxation were reduced. SF 36 Quality of Life questionnaire was also used to establish a baseline which was then periodically repeated once the study commenced. The results showed that the control group experienced a 7.96% decrease in CD4 levels whilst the adjusted group experienced a 48% increase in CD4 cell levels. Both sets of SF 36 Quality of Life results showed improvement with neither being highlighted as being a greater improvement. The discussion proposed a dentate ligament hypothesis based on the understanding that in the cervical spine small dentate ligaments attach uniquely between the upper cervical vertebral and the spinal cord. As such misalignments in the upper cervical spine can directly stress and deform the spinal cord. Also, a 1967 study related dentate ligament distortion to kinking of the medulla in children. Further, a C1 veterbral subluxation may serve to torsion the spinal cord. This is believed to set up long term hyperactivity in spinal cord neuronal tracts. A continuation study of 200 HIV positive individuals was proposed. The results did appear to be a dramatic improvement compared to the control. As much HIV research has been already conducted, a table in the results showing the usual decline/pattern of CD4 cell count for a large number of HIV patients (all of whom would be considered a control as less than 1% of the population are under regular chiropractic care) would have been useful. As numbers were small a larger study would have given more statistically significant results. With the high potential to improve the CD4 population of HIV sufferers it is curious that government funds were not allocated to run the follow up research. Perhaps economic or political drivers precluded it. 1. They are regularly having their blood (CD4 levels) monitored as part of their medical care. This saves massive cost to researchers – approx $12000 per patient. 2. 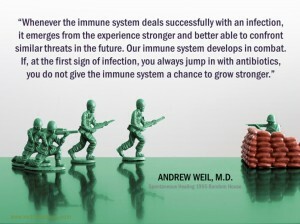 They have a immunologically compromised nervous system, so a relatively small improvement (compared with a healthy individual) in immune system function can be dramatic and more obviously quantifiable. Unfortunately, focusing on HIV sufferers takes the focus from the asymptomatic general members of the public who have upper (and lower cervical spine) vertebral subluxation which could be extrapolated to be reducing their immune system function. As such chronic vertebral subluxations could conceivably lead to more coughs and colds, less immunity to influenza and other invasive organisms and ultimately less resistance to cancerous growths and cell mutations. This paper makes a link between the immune system and sections of the spinal cord which are effectively starved of oxygen when dentate ligament distortion causes venous occlusions in the spinal cord. Further, the dentate distortion was found to be related to kinking in the medulla oblongata of the brain stem. Interestingly, recent studies  have made the link between stimulated electrical activity in the nucleus ambiguous of the medulla oblongata to enhanced splenic lymphocyte proliferation and the release of IL-2 and IL-6. This nucleus was previously believed to have only branchial efferent motor fibers of the vagus nerve(CN X) terminating in the laryngeal, pharyngeal muscles, and musculus uvulae as well as to the efferent motor fibers of the glossopharyngeal nerve (CN IX) terminating in the stylopharyngeus muscle. As such, upper cervical misalignment leading to dentate ligament torsion and “kinking” of the medulla could impact on the nucleus ambiguous. Additionally, more recent studies have further linked spinal ligament malposition  to measured histochemical changes in various sections of a chicken’s spinal cord tracts and CNS following mechanical stimulation of spinal ligaments. The findings showed that stretching a single inter-transverse ligament of the spine produces a barrage of sensory feedback from several spinal cord levels on both sides of the spinal cord. This sensory information is transferred to higher levels in the brain, including the nucleus gracilis and cuneatus, the vestibular nuclei, and the thalamus. These results suggest the pathways for spinal ligament aberrant stimulation for this sensory information, which include the dorsal columns and the spinocerebellar tracts. In other words misaligned vertebral sections of the spine, through the supporting ligaments, not only directly affect balance, proprioception, nociception, gross and fine motor function but also visceral function and then serve to remodel normal function of various nuclei of the medulla oblongata which directly influence immune system function. This proposed hypothesis is known as Medullary Nucleus Remodelling Hypothesis of Chiropractic. It proposes that vertebral subluxation (spinal malposition) through dentate and spinal ligaments causes a remodeling of function of medullary neucleii such as the nucleus ambiguous and vestibular neuclei and reduces the efficiency of immune system and other visceral function. To run the large scale trial of 200 HIV patients proposed in the subject paper  with clarification and clear comparison of the results under chiropractic care compared with controls. To design an in-practice protocol to consistently, quantifiably and reproducibly measure an individuals immune system state and the changes under chiropractic care. a. make the link with a clear, scientific rationale which will rely heavily on a neuro-anatomic explanation. b. produce much more reproducible, quantifiable evidence which would most likely be from a grass-roots practice based research model for reasons of efficiency of time, commitment of resources of practicing doctors who have a business to sustain and the economics of making a commitment to contribute to a research program. 1. Hindson C. A Portfolio Evaluation of Chiropractic Theory Papers – The Link Between The Chiropractic Adjustment and Improved Visceral And Immune System Response. D’Youville College Paper Oct 13. 2. Selano J, Hightower B, Pfleger B, Freeley Collins K, Grostic J. The Effects of Specific Upper Cervical Adjustments on the CD4 Counts of HIV Positive Patients. The Chiro Research Journal; 3(1); 1994. 3. Brennan P. Graham M, Triano J, Hondras M: Enhanced phagocytic cell respiratory bursts induced by spinal manipulation: Potential Role of Substance P.J Manip Physiolog Ther 1991; (14)7:399-400. 4. Mei YW. Acute electrical stimulation of nucleus ambiguus enhances immune function in rats.Can J Neurol Sci. 2008 Sep;35(4):441-7. 5. Jiang H et al. Identification of the Location, Extent, and Pathway of Sensory Neurologic Feedback After Mechanical Stimulation on of a Lateral Spinal Ligament in Chickens. Spine. 1997 22:1 pp17-25.